Garden gnomes tend to be regarded as cute little bearded guys in funny pointy hats, who enjoy nothing more than fishing and greeting your guests with open arms and a warm smile. Well that’s all changed since a deadly virus has spread across the gnome race, turning the innocent faces we know and love into hideous blood soaked Zombie Gnomes! These infected ornaments will bring a little bit of horror to your garden within seconds. Made from handcrafted terracotta, with weather resistant paint, the gnomes can not only hold up against a deadly virus but also take a few knocking-overs, as well braving the elements of British weather. Dressed in the usual gnome attire (including the classic red pointy hat and big beard) the undead gnomes even lost body parts (including fingers and legs) fighting an intruding badger one time! 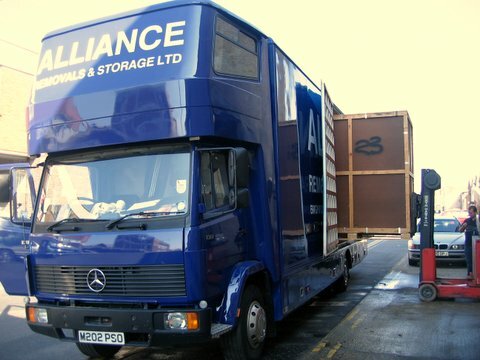 Now that’s dedication to your job! The Zombie Gnome has blood splattered across his clothes and bright white eyes with a missing finger, whereas the Zombie Gnome Crawler was a little more unfortunate and lost both his legs, but he does have bright glow in the dark eyes, which is cool! 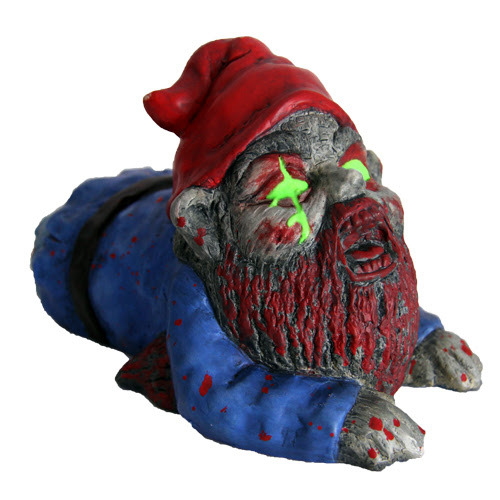 There is no doubt that this Zombie Gnome will protect your plants and shrubs against any impostor or passer-by.